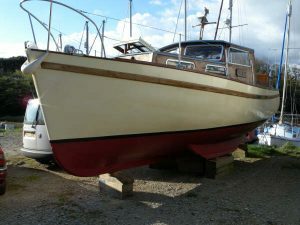 ….. SOLD – June 2012 …..
A 1980 Colvic Watson 34 Motor-Sailer designed by the famous naval architect G L Watson and moulded by Colvic Craft of Colchester, Essex with an extra strengthed hull, additional bulkheads and thicker moulding for the first owner who completed 1,500 miles to the Med in the first few years after launching. 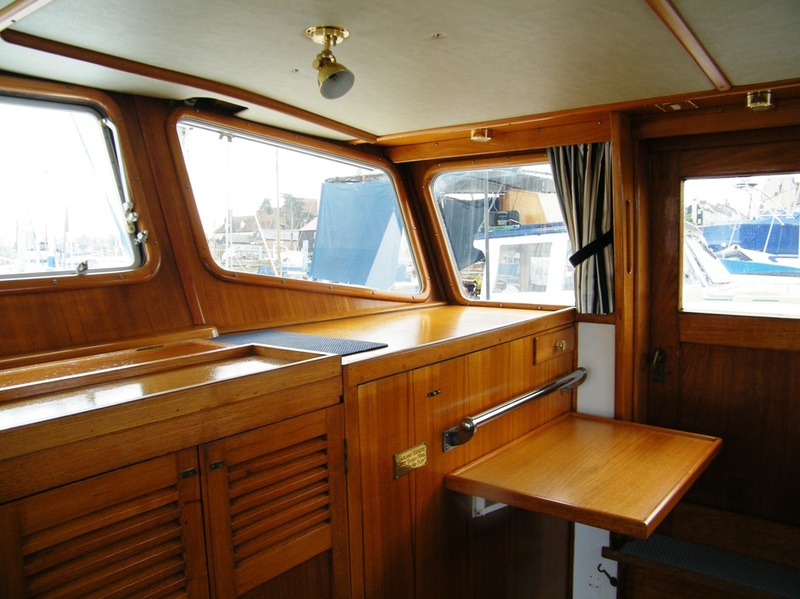 Also professionally fitted out by J J Millgates Boat-Builders to a high standard with teak joinery throughout. 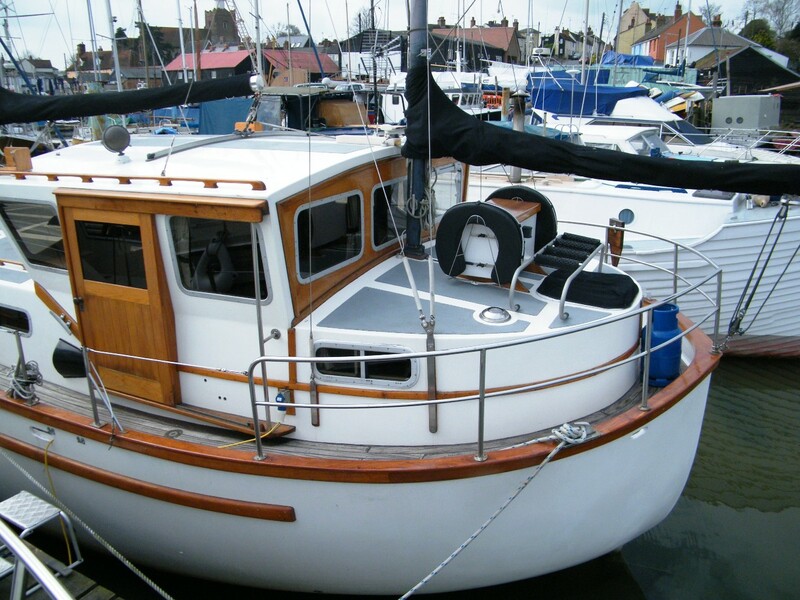 This rugged design, first produced in 1974 is based on the Watson Lifeboat and is a proven, motor-sailer offering good sea-keeping qualities with generous internal volume ideal for extended cruising or for living aboard. 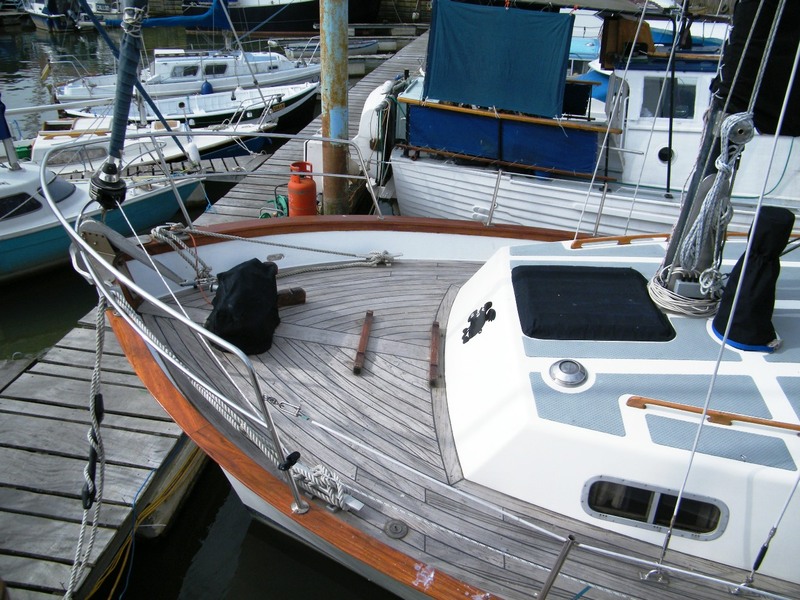 The ballast moulded GRP hull by Colvic has become a modern classic with an easily managed masthead ketch rig and good sized diesel engine. 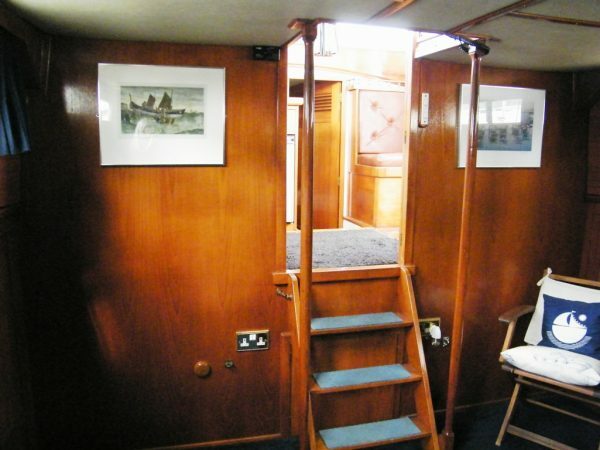 Teak laid deck, varnished teak rails and trim. 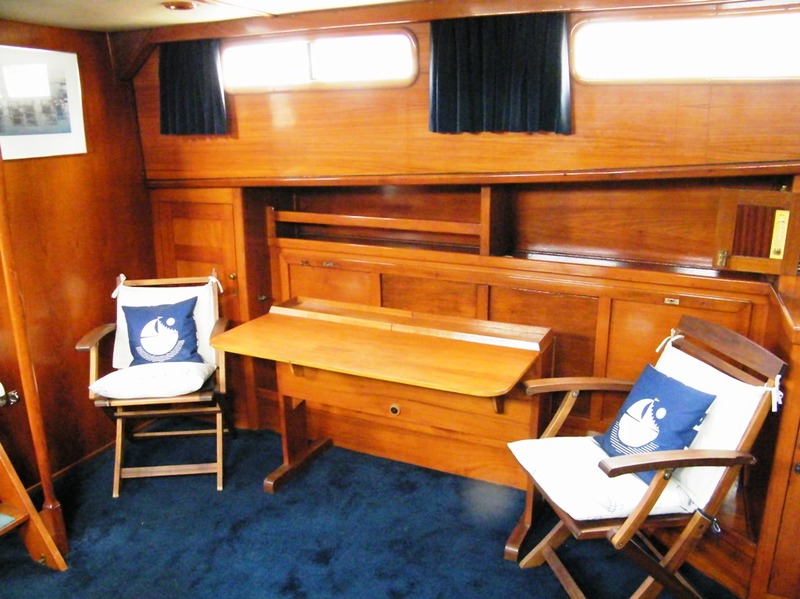 The attractive, light and well presented interior benefits from recent new teak facings, resealed windows, new carpets, curtains and headlinings. 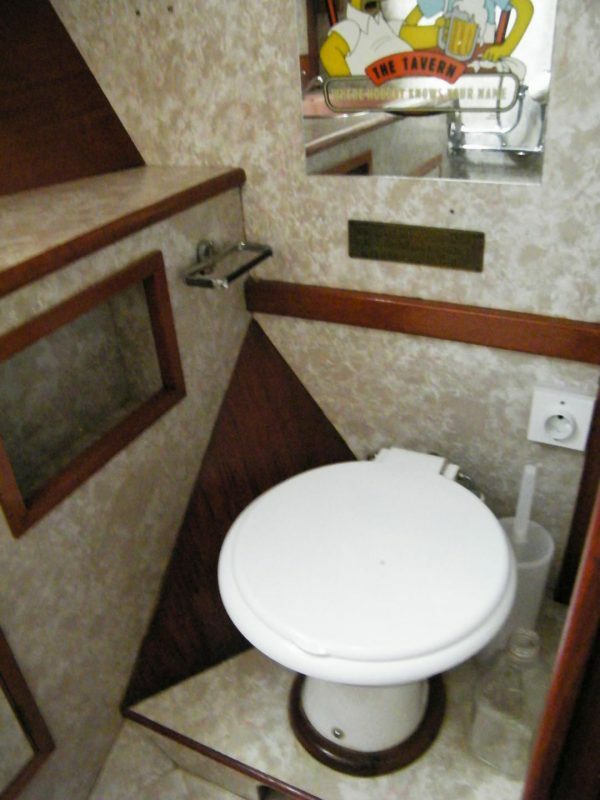 Six berths in three cabins with forward Vee berth double cabin with ensuite shower, wash-basin and electric wc and full length wardrobe. 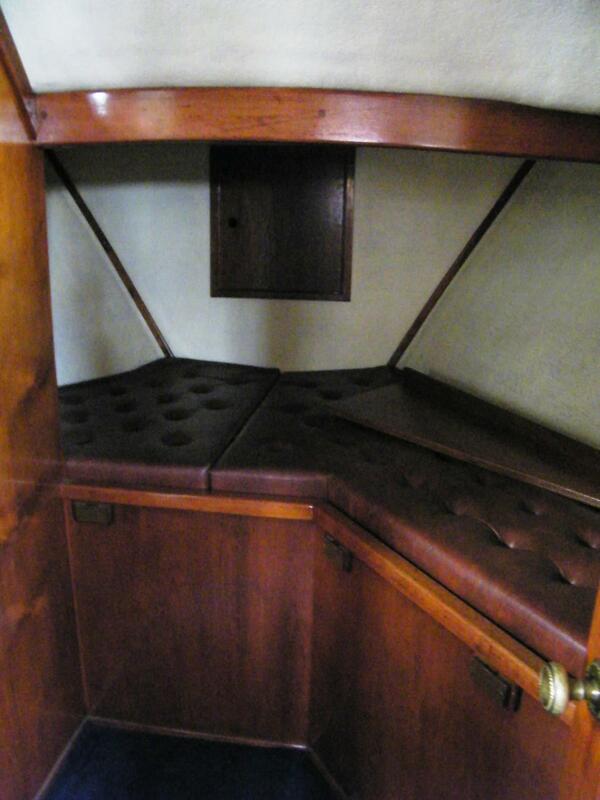 Saloon with plenty of locker and stowage space, two fold-down berths, drop-leaf table, TV aerial and power points and telephone point. 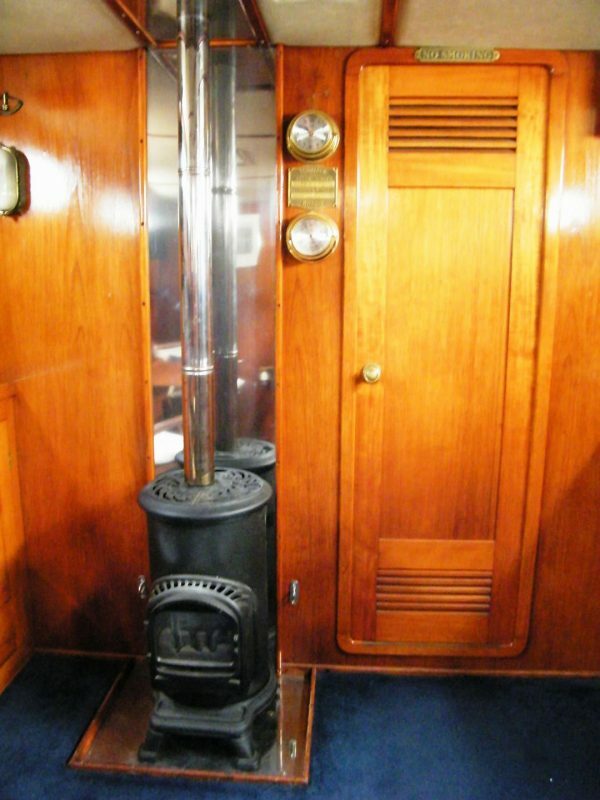 Cast iron solid fuel stove. Deck Saloon / Wheelhouse with port helm position with instrumentation and chart table. Starboard galley with two burner gas cooker having oven and grill, single drainer stainless steel sink unit with folding mixer taps, 12 / 240 volt fridge, pantry and crockery lockers. 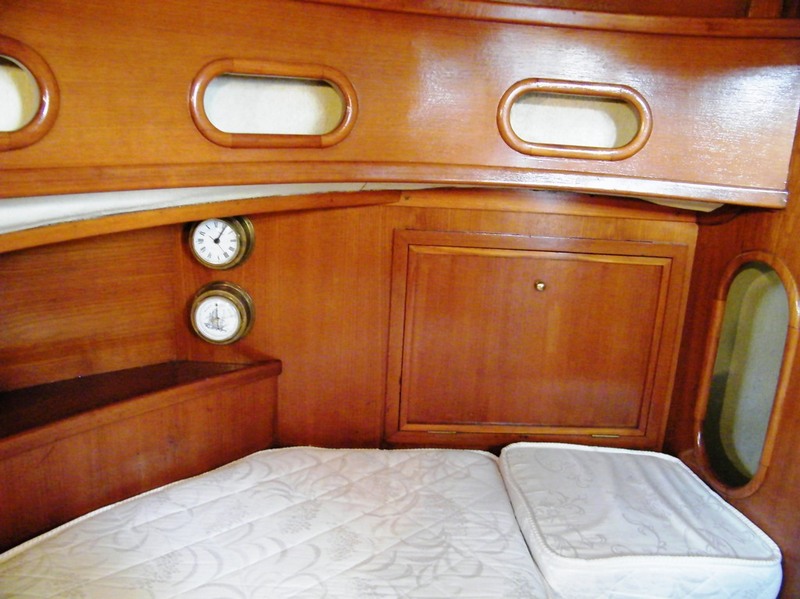 Aft Stateroom with comfortable double bed, cupboards and storage space, wet locker and ensuite wc with wash basin. 130hp Ford Mermaid 6 cylinder Diesel Engine having Borg Warner 3:1 reduction gearbox, heavy duty alternator charging four 180ah batteries. 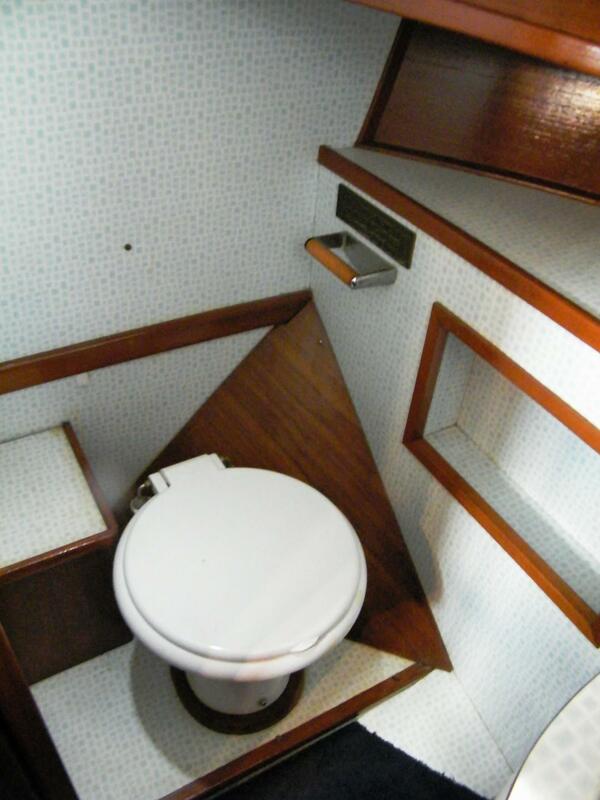 Bow thruster. 3kw Petter single cylinder diesel generator, battery charger and shore power connection. 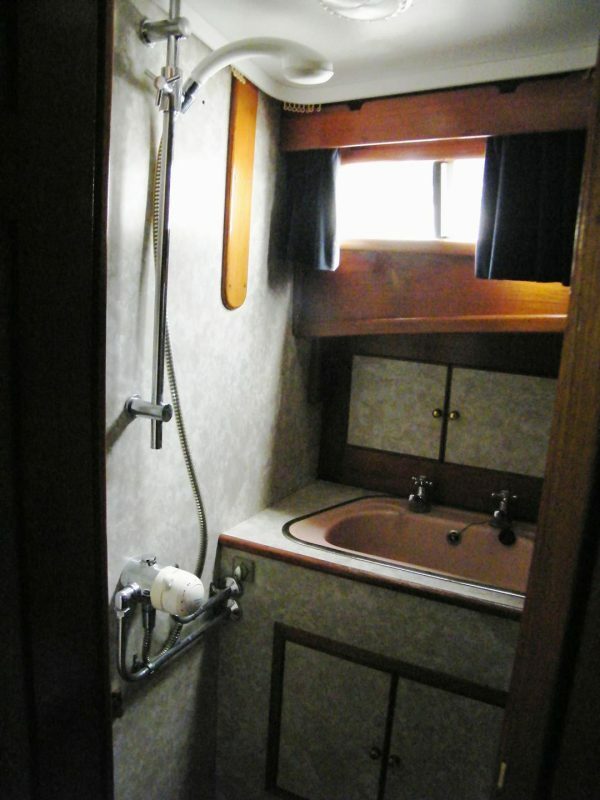 240 volt immersion heater and thermostatic calorifier. 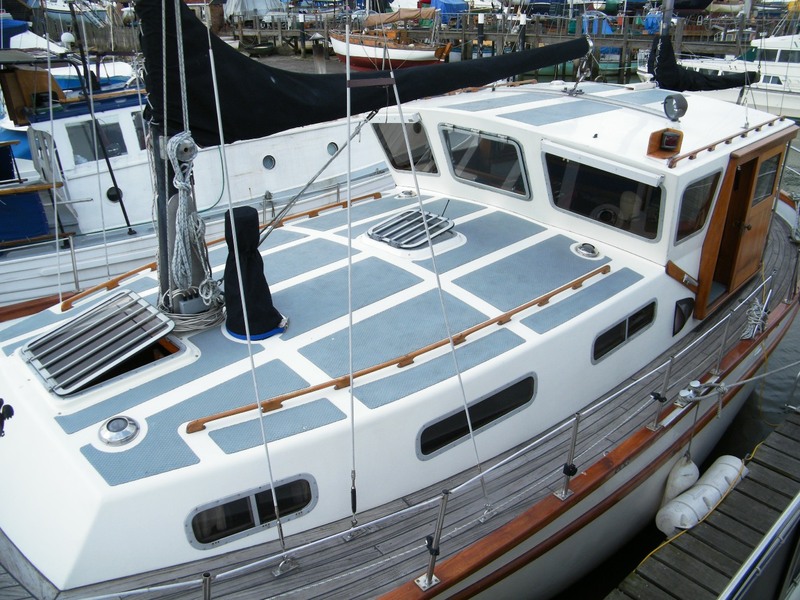 Two 120 gallon stainless steel fuel tanks, 50 gallons black water tank with pump, three 1,000 litre fresh water tanks and 50 litres hot water tank. 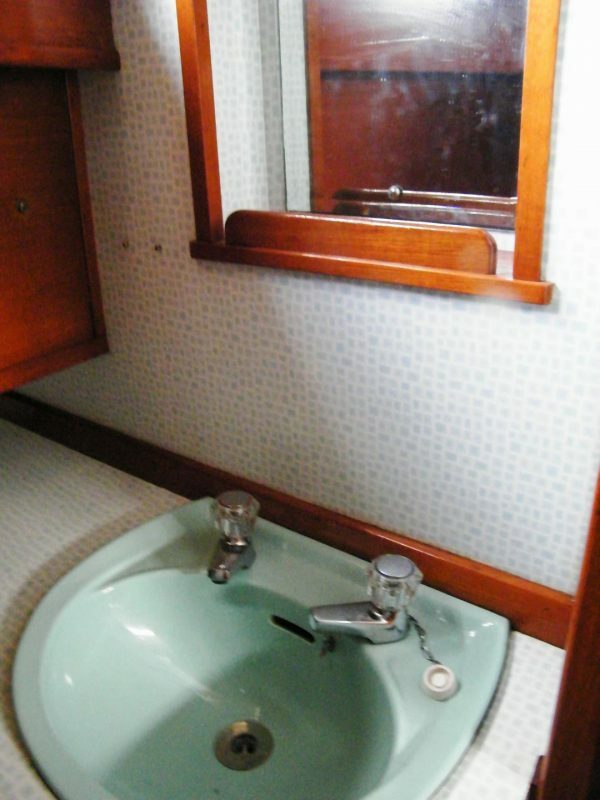 Re-plumbed in 2007. Ketch Rig with black anodised alloy masts and spars by Sail-Spar Ltd. Deck stepped with stainless steel wire rigging (2005) and terylene running rigging (2005). 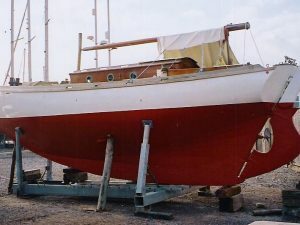 Five terylene tan coloured sails with separate sail bags. 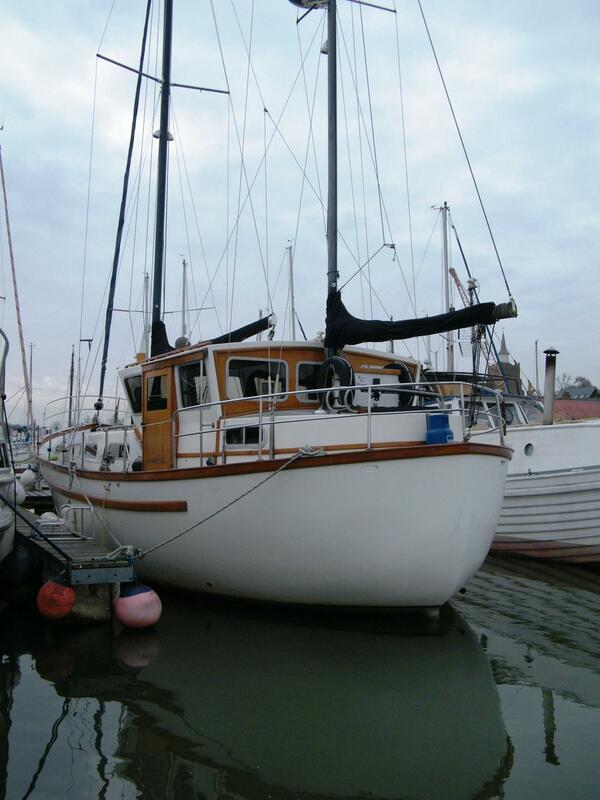 Genoa, Jib, Storm Jib, Mizzen Stay-Sail and Drifter Genoa. 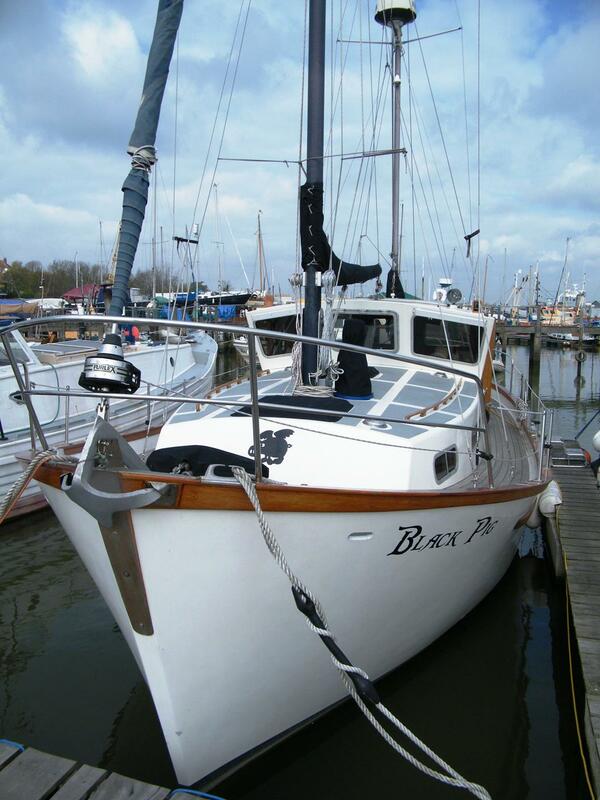 New roller reefing sytem in 2005, all sails over-hauled with new sail covers. 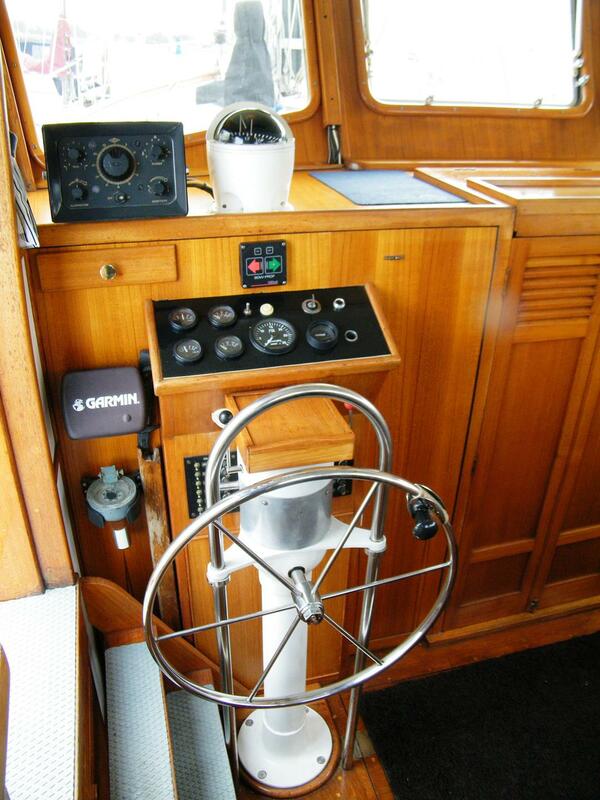 Garmin 240 Sounder, Sestral Compass, Navigator 2 Windspeed, Cobra VHF Radio, Neco Autopilot, Garmin 225 Chart Plotter. 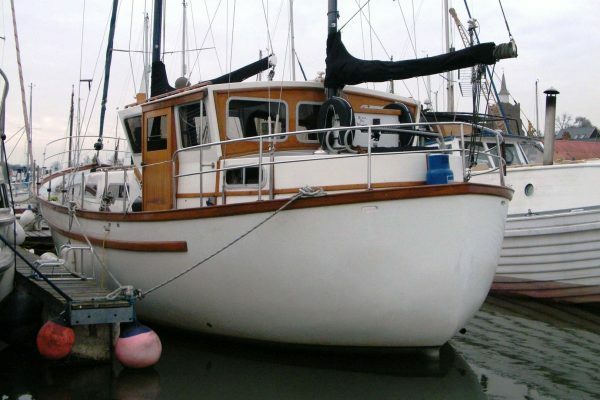 35lb Bruce Anchor, two lifejackets, gas detector, two electric and one manual bilge pumps, two engine bay fire extinguishers, spotlight, hydraulic windlass, fenders, warps. 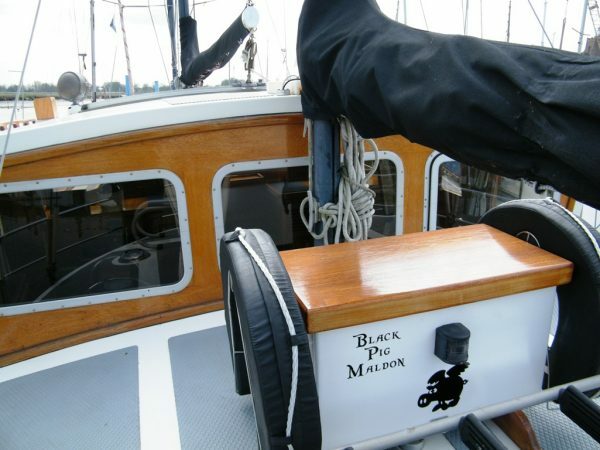 Stainless steel deck stanchions, pulpit and pushpit. 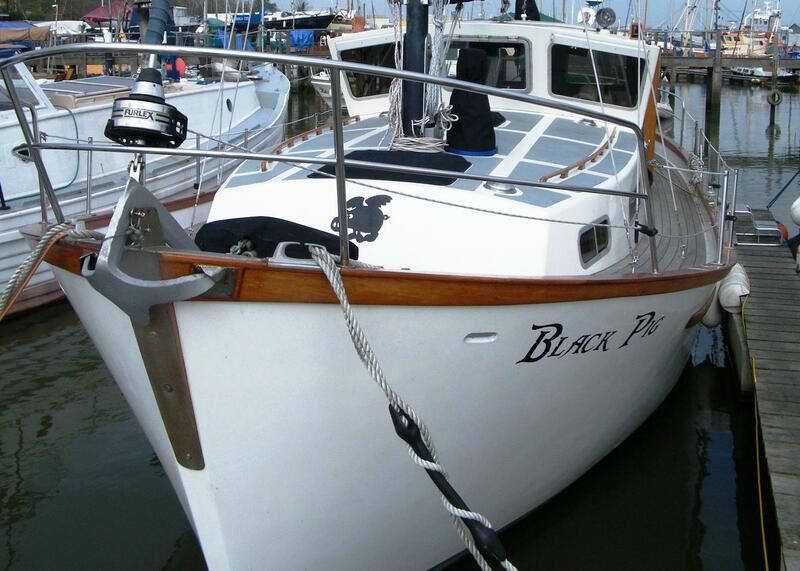 Black Pig is a particularly well maintained and presented example of this popular class of motor-sailer designed by one of the most eminent UK naval architects and fitted out to a high standard by J J Millgates. 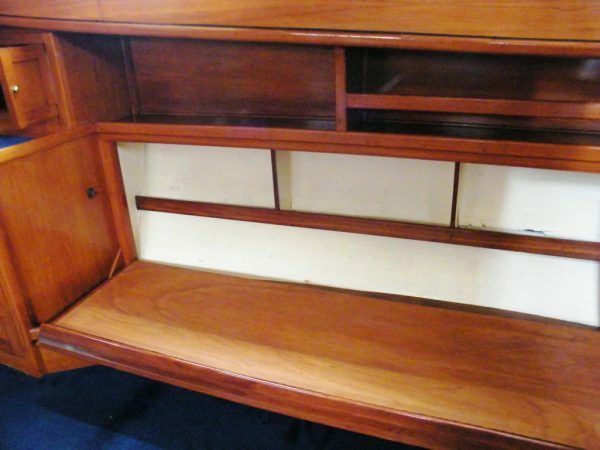 Contact us for more information, photographs or for an appointment to view this appealing vessel.